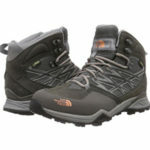 Does The Merrell Men’s Grassbow Hiking Boots Do Enough To Keep Beginner And Experienced Walkers Happy? On first impressions, the Merrell Men’s Grassbow Hiking Boots look like your average pair of walking boots with a simple black and grey design from synthetic materials, a strong lace up closure and the promise of good stability and waterproofing for hikes. The shoe has a flat heel, Gore-tex protection and a moulded tpu heel for extra stability. There isn’t much within the specification that immediately leaps out, which suggests it is an accessible model for the everyday walker. Is this the case? 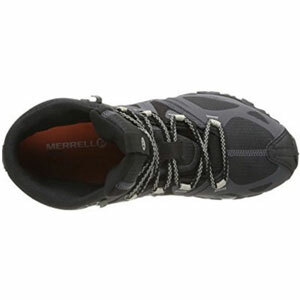 What benefits have been mentioned in user reviews for these Merrell Men’s Grassbow shoes? The first thing that all newcomers will want to know about with these boots is the comfort offered. This shoe has plenty of positive comments on the shape, the materials used and the fit. The low, minimal sole makes this lighter and more appealing than some heavier shoes. Then there is the quality of the weatherproofing and other features to tackle the great outdoors. 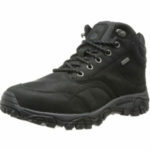 These synthetic Merrell walking boots have a reasonable amount of waterproofing to the materials. Not so much that they are completely impenetrable, but not so little that wet weather is an issue. In addition to this, there is the Gore-tex lining that gives an extra layer of protection for feet and provides some breathability. The other important feature for heading out on the trails in all weathers in the quality of the tread for a good grip. Most users are impressed with the sole in this regard, with the sense that they will have little trouble on rough ground or slippery grass. However, there are some issues with the sole. 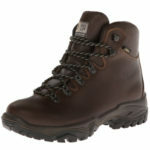 Why is the sole problematic and are there any other flaws to look out for with the Merrell Men’s Grassbow Hiking Boots? The sole may be great at first as a strong, reliable way to get around, but these benefits do not always last as long as some buyers would like. While the majority of reviews are highly positive , there are those that drop the rating down because of the issue of durability and longevity. The sole seems to wear down far too easily, and this means that some have had to replace them quite quickly. It might hold out for a season of winter hikes and spring walks, but not much longer. This decline is also seen in the insole, which quickly comes loose and needs to be replaced. Summary: how do these negative comments affect the final verdict on these Merrell Hiking Boots? The problem with the longevity of the shoe is important. Those that are looking for a boot with a long life for years of trekking on difficult trails will need to look elsewhere. This walking boot has much more potential for the more casual users on the gentler terrain, so that first impression of a low-end shoe for the average walker seems to be correct. This is because even though the Merrell boots aren’t that tough, they still offer a great performance in wet weather, good grip and great comfort features. 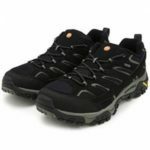 Find out what other people are saying about the Merrell Men’s Grassbow Mid Sport Gore-Tex High Rise Hiking Boots on Amazon here.